Agave syrup -I used organic agave syrup by a company called wholesome. Recipe and all photos by Paulette L. Motzko, PLM STUDIOS. 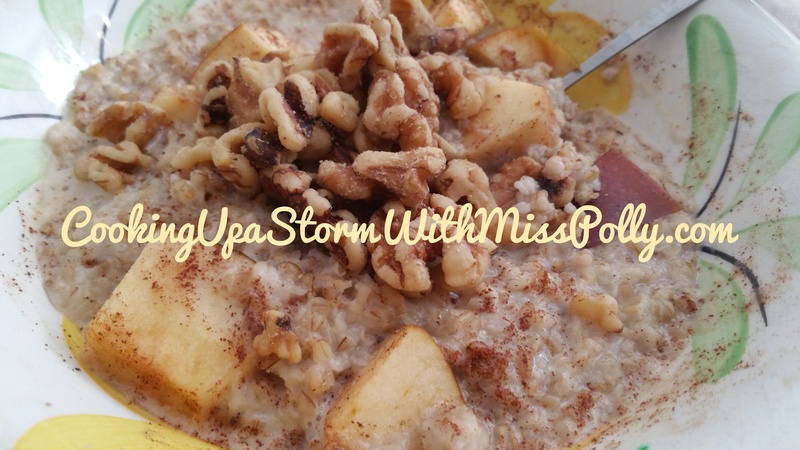 POrion out the amount of steel cut oats and the amount of liquid that you want to serve and then put it in a mason jar or a casserole dish, if you’re serving many people. Cover all night and by the morning the oats will be softened quite a bit and will only take a couple minutes in the microwave to cook. I cooked mine about 6 minutes, stirring in between the minutes to make sure it all doesn’t stick to the bottom or anything. 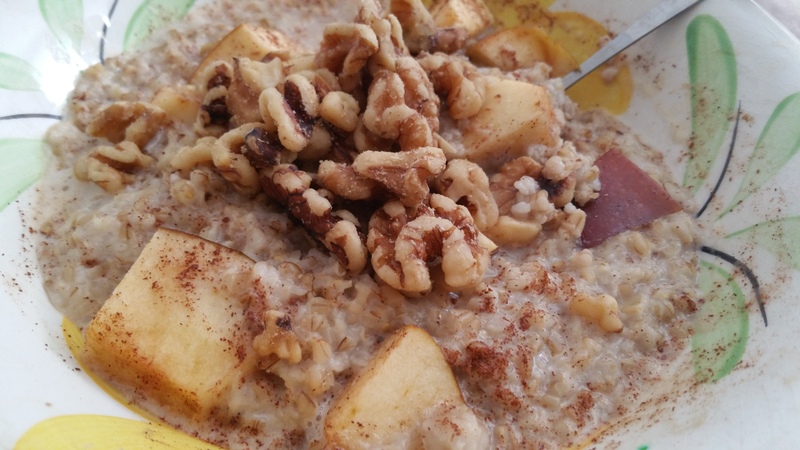 Oats are awesome in fiber and are really healthy for you and so are the apples and walnuts. They’re considered one of the superfoods by many authorities.